ad broad: can writers save publishing? One of the best panels I attended at SXSW last year was on the future of publishing where I was happy to hear that yes, there is one⎯ if old models give way to new, creative approaches. Recently I've come into contact with three authors taking unconventional approaches to the age-old business of transforming dead trees into handheld content. Interestingly, all concepts involve crowd sourcing, that model antithetical to revered image of lone writer scratching away in a garret. Crowdsourcing Cover Art. 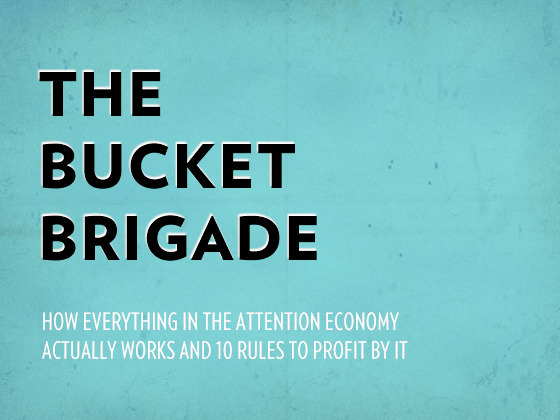 Crowdsourcing content isn't a new concept, actually. The book that's been a bible of sorts for getting into the ad business has been crowdsourced from creatives since the 80s. (Proud to say recent update includes an essay from AdBroad.) 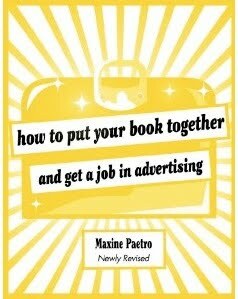 The author/curator is Maxine Paetro, who was manager of creative talent at some of the best agencies in New York before she segued into writing bestselling thrillers. But crowdsourcing cover art? For recently edited update now available for pre-order, her publisher offered three design choices , none of which Paetro felt was quite right. So she dreamed up a contest and sent out word to art and design schools, offering a bit of cash and the chance to be published. She received hundreds of Flickr entries from around the world, so many of which were good, she had a hard time deciding which she liked best. Crowdsourcing an Advance, a Title, an Editorial Board. 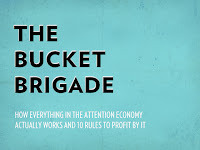 Strategy Director Bud Caddell recently launched a project on Kickstarter, to develop and publish a book that is an evaluation of how everything in the attention economy actually works, and how to profit by it. The genius of his idea was this: instead of circulating a proposal among agents, waiting for interest, then waiting for an agent to strongarm a publisher into shelling out an advance, Bud approached book writing as if he were setting up a nonprofit: he sent out word to people passionate about the same subject he was and wrote them a proposal, promising them an opportunity to help make a difference. Within a month, he enlisted not only 103 board members (including, full disclosure, myself) but over $18K which allows him, five weeks from the day he put out the book concept, to be travelling around the country doing interviews for it. Further brilliance of writing a book this way? You've got a built-in community of amenable readers, editors and fact-checkers, which relieves friends and loved ones of these onerous duties. 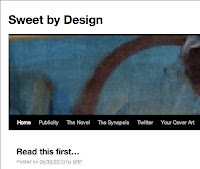 The Dickensian Approach: Blogging Installments Euro RSCG Chicago Chairman/CCO Steffan Postaer, discouraged by the bleak house that publishing is these days, is releasing his third novel a la Dickens whose books were first published serially in magazines. Postaer is blogging a romantic comedy chapter by chapter via blog posts, an approach that gives him the benefit of further dimensionalizing the story world with visuals. He's also staging a contest for cover art. Ironically, the winner will receive what many in publishing are fiercely resisting: an ipad. Hopefully, many more writers are transforming old world publishing models out there. Aren't they? 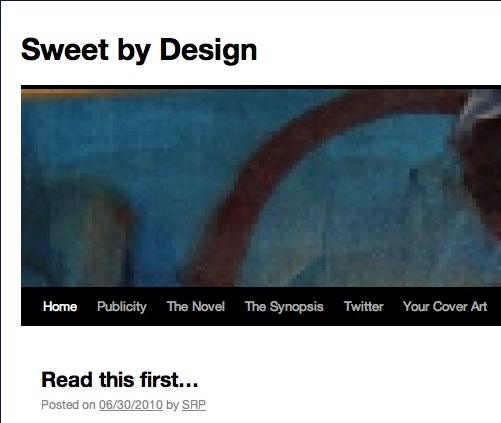 Frankly, in 4 days more people have read Sweet by Design (over 2,000) than if I tried selling it for a year.